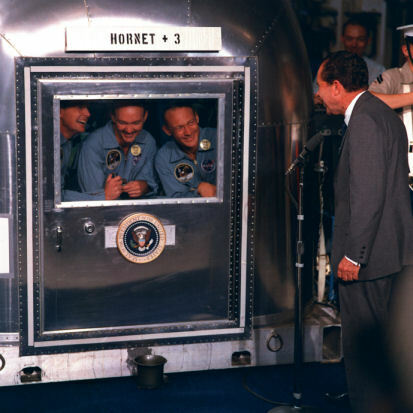 I've mentioned in the past my nerdiness for NASA and other spacey things. From my love of Star Wars, to my frequent (though, it's been far too long) trips to Adler Planetarium, through to my need to get back to Kennedy Space Center, anything related to science fiction (and science fact) has stoked a fire within. Any movie with a setting of space or distant galaxies hits the list of "wanna see". Toys with space themes like astronauts and NASA vehicles always make me pick them off the peg to examine, and sometimes purchase. I followed all the shuttle missions. There's even a subdivision Elk Grove Village with streets named after some Apollo astronauts. I get a smile on my face if I happen to drive by. Even Nixon man crushed them. There is so much to love about a card like this. Framing, as always, is the start. Except for a small part of Guillen's right foot, his entire body is in frame. as is all but a few pixels of his bat. Then let's talk the rainbow of color. Green at the bottom, tan comes next, followed by the light blue of the inside of the dugout, the edge of that broken with a bright royal blue, lastly fading in to the red of the seats. Factor in the crisp gray uniform, and this is a feast for the eyes. And we cannot forget that expression. Jose grunting as he tears out of the batter's box, launching his bat to the heavens as he tries to leg out a single. It's easy to call Divinyls a one hit wonder. In the US, they really only had the one major charting single about self love, hitting #4. But in their home land of Australia, Divinyls scored plenty of top 50 hits and every album released but one charted 25 or higher. Today would have been lead singer Chrissy Amphlett's 58th birthday. As they say, "the good die young", and in Chrissy this is quite true. Her song writing talent was immense, and she owned audiences at concerts and in music videos with her stage presence and overwhelming sexuality. If Freddie Mercury was female, he would be Chrissy. Boys In Town, I Touch Myself, Pleasure and Pain, and the prophetic Good Die Young are amazing. But there is a reason the Australasian Performing Right Association named "Science Fiction" one of the top 30 Australian songs of all time. 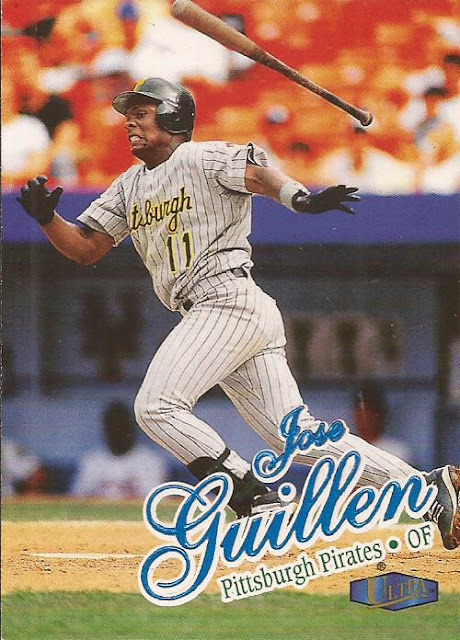 Jose Guillen was probably shocked he hit the ball and forgot how it felt. The Pirates brought him up way too early and it stunted his development. He still had a long career, but he should have been a star with his skills. Science Fiction is one of my all time faves.